Before I get started, I wanted to preemptively apologize to the questionable readership of this blog for not doing any sort of writing or reading so far as you know over Spring Break. Ever since I set foot in my humble abode for the calm before the storm…. I did about nothing for the entire week. Though I did somehow last night force myself to do the school essay for today, I looked at this page and stifled a gasp (How DARE I not post for a week… or for what felt like an eternity). 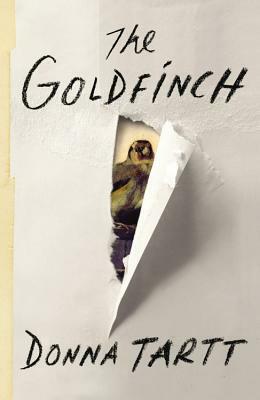 But never fear, brave reader, because Goldfinch is literally one of the best books I’ve read *no exaggeration* and I will try to convey how much I love it. Blurb From Goodreads: A young boy in New York City, Theo Decker, miraculously survives an accident that takes the life of his mother. Alone and determined to avoid being taken in by the city as an orphan, Theo scrambles between nights in friends’ apartments and on the city streets. He becomes entranced by the one thing that reminds him of his mother, a small, mysteriously captivating painting that soon draws Theo into the art underworld. Why Read: Why did I choose to read the Goldfinch? It’s a variety of multifaceted opinions. I heard about the book through a well-loved book blog that I follow like a rabid dog through their podcast, where I noted it down in my ‘To Be Read’ List… and we all know how much those usually are read (which is never at all). But then I was the bookstore, and I began to do some extra research about how much I really wanted to get this book. As you can imagine – I did really want it. Donna Tartt wrote one of my favorite books otherwise: A Secret History. And when I saw that it was indeed her again, there was nothing that could stop me from getting this book as soon as possible. Review: There are books that you read the instant you get your hands on the hard cover. They sooth your buyers remorse with telling tales and whispering that spending over 20 dollars on a book isn’t necessarily a bad thing… so long as you read the whole thing right now as fast as you can. The Goldfinch is that. It’s the best description I can think to give to a book that began and ended so quickly that it was dizzying. Because even though it is over 700 pages, as you whirlwind through Theo’s life – it feels like watching a young cousin or friend grow up quicker than you want. Theo Decker, the main character, both as a young boy and young adult is a complex. What else can you expect from a literary fiction read? (I’ll give you a hint: tortured internally stereotype is absolutely correct). From his mother’s violent end to his childhood, he is one of those unique characters which you can’t empathize with. He’s not the college-bound young adult, but something about him is undeniably familiar. It’s his best friend who is entirely a new character. He’s every inch the stereotype of a Russian but in his own eye – uniquely Boris. He may drink his share of whatever he can find while taking whatever drugs he can buy, but what you find out later (and which I won’t give away) is that he does care and he’s more than the sum of his actions. And the plot? Engarde? I can barely think of what to write about it, there’s so much to say. Whether you’re speaking of Theo’s time in New York, LA or worldwide – each is so unique but so perfectly Theo. The book has the numbing quality of grief as we learn of his mother’s death early on and the continuing consequences that just spiral out of control as Theo turns from grief-stricken child to troubled and lost adult. If I had to choose something that I loved most about The Goldfinch though, it would be the writing. You can have all the pieces of a fantastic story: plot and characters, but what really makes the book special is if you and that writing style can connect. Donna Tartt is my writing style buddy. Her monologues, descriptions and dialogue are to die for and bring tears to my eyes at that part where my heart is achingly torn apart… I’ll never say though, you’ll have to read it first!